It brings God joy to give. And I’m thinking the more He gives, the more joy it brings. After all, He’s not just giving us an enjoyable evening or basic provisions. He gives abundantly. He gives us the kingdom. He gives us salvation. He gives us “everything we need for living a Godly life.” (2 Peter 1:3, NLT) That’s over-the-top giving. He’s given us the Holy Spirit. He’s given us gifts to use in fulfilling the calling that He’s given us – the purpose He’s given us for our lives. All this and heaven, too. He’s given us a family (Psalm 68:6). He’s given us freedom from condemnation (Romans 8:1). He gives us the power to be transformed (Romans 12:1). He’s given us His love. Whew! That’s the most precious gift. That the God who created the universe has given me His love, His heart. Does giving bring you joy? It will if you allow it, because you are made in the image of God. You carry His DNA, and His DNA derives joy from giving. But sometimes it’s a joy that you have to learn because in our sinful nature, it is counter-intuitive to us. In our sinful nature, I think I will have more joy if I get more stuff. But God has never hoarded His stuff. He lavishes it upon us. In our sinful nature, I think I will have more joy if I am more powerful. But God has never hoarded His power – He gives us free will – the absolute antithesis of hoarding power. He also has given us power and authority beyond our ability to comprehend and often beyond our ability to use wisely. Still, He trusts us with it. So we have to learn to give. We have to write that first check or give away that favorite possession. We learn to experience joy through the joy of the recipient. And when that isn’t expressed, we learn that God is smiling at our generosity. Scripture says that “God loves a cheerful giver” (2 Corinthians 9:7) and “will bless you in everything you do” when you give generously to the poor (Deuteronomy 15:1). 7You must each decide in your heart how much to give. And don’t give reluctantly or in response to pressure. “For God loves a person who gives cheerfully.” 8And God will generously provide all you need. Then you will always have everything you need and plenty left over to share with others. 7Each man should give what he has decided in his heart to give, not reluctantly or under compulsion, for God loves a cheerful giver. 8And God is able to make all grace abound to you, so that in all things at all times, having all that you need, you will abound in every good work. God gives all we need – not just physically, but also emotionally, relationally, and spiritually – He is able to make ALL GRACE ABOUND to you so that you have ALL that you need. And when will he do it? ALL the time. Why? So that we can be successful – abounding in every good work. God’s heart is to give. 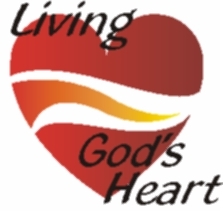 When we live from God’s heart, we also give. We give our time, our talent, our money and possessions and our heart. Who are you giving to today? My new sister-in-law told me that she doesn’t ever go to bed without doing something nice for someone. If she hasn’t done something nice by bedtime, she goes to the local store to find someone in need. Perhaps it’s just helping someone reach something. Perhaps it’s helping someone pay their bill. Perhaps it’s providing an encouragement to someone who just needs to know that someone cares. There are lots of ways to give. Do you think she always feels like it? I doubt that she does. But she’s learned the joy of giving. She’s learned that it changes who we are from the inside out. And it brings God joy. Who are you giving to today? Challenge yourself to give above and beyond joyfully. This entry was posted on Wednesday, September 11th, 2013 at 7:04 am and is filed under Blessed Life, Christian Living, Finances/money, Kingdom of God. You can follow any responses to this entry through the RSS 2.0 feed. Both comments and pings are currently closed.